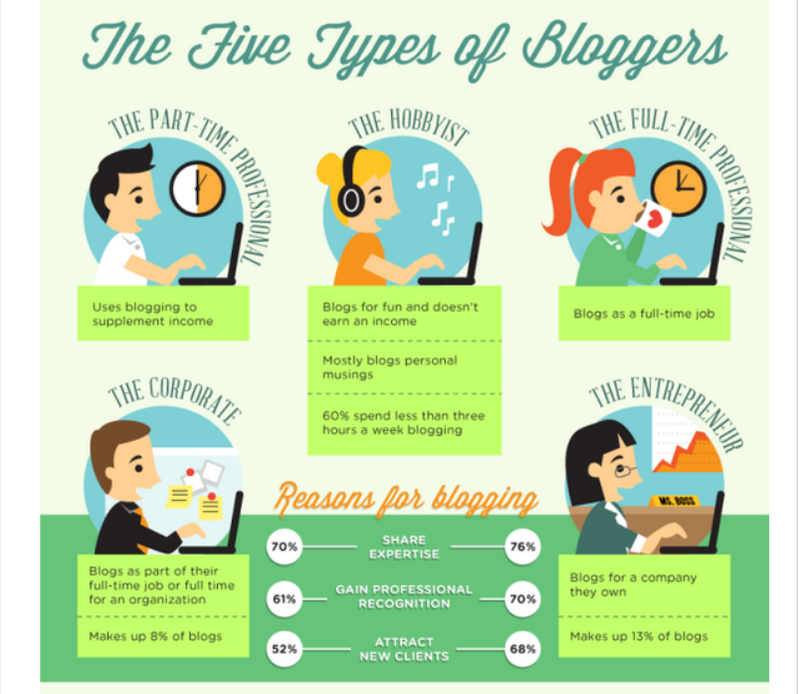 This infographic from Lifehacker gives an accurate description of the existing types of bloggers. A good 4 out of 5 use blogs to earn an income or use blogs for profit. If you’re either a corporate blogger or a blogging entrepreneur, you’re most likely already well aware of how blogging helps increase your visibility in SERPS. When it comes to cashing in from blogs themselves though, there seems to be different views and opinions. Some think that monetizing your blog defeats its purpose. But when it comes to that, what exactly is your blog’s purpose? What’s stopping you from using your blog as a means to earning money? Whatever the case, this article will hopefully help you find direction and make the right decision. One of the vital elements of a good blog is knowing how to keep your content relevant. Researching materials for your next job post is never just a walk in the park. Still, knowing that you stand to profit if your blog post turns out well can be the kind of motivation you need to want to make sure that every piece of blog content you submit is as near perfect as possible. Not that I’m saying money should be your only motivation, of course. But you have to consider that you also have personal goals and aspirations. And your bills most definitely won’t pay for themselves. What I’m saying is, if you were to earn enough to cover for your lifestyle expenses, might as well do it in a way that you enjoy. Win-win. Having a blog does not necessarily mean that you have to leave your current job. With proper time management, it’s quite possible to be successful at both at the same time. On the other hand, successfully monetizing your blog turns it into a business where you are THE BOSS! Blog monetization provides you with a way of generating enough income to justify leaving your 9-5 job. Plus, there’s less stress because you’ll be free to work at your own time and pace. Will blogging be able to feed you and your family? People often see this as one of the most important things to consider before starting a blog. Although not everyone becomes a multi-millionaire blogger, your blog can still be a remarkable source of income. 9% of respondents to Problogger’s survey of 1500 people trying to monetize their blogs reportedly earn between $1000 to $10,000 a month. Now $1000 may not sound like much, especially if you’re from the US. But it sure can help pay the bills and then some. With good old hard work, continuous learning and skills and experiences collected over time, who knows? You could earn a lot more. Enough to take care of your family’s wants instead of just basic needs. The moment you decide to start monetizing your blog, you commit yourself to studying how to achieve your goal of profiting from your content. That includes learning more about influencers and other professional bloggers whom you can look up to as role models. Successful bloggers have tons of experience behind them that you can learn from. As you engage with them, their business acumen might brush up on you as well. You’ll find how these people were able to debunk blogging myths time and again because of their perseverance and determination. You’ll also meet new people from the blogging community to exchange ideas and create friendships with. No successful person can claim to not have failed at one point or another. Same goes for bloggers. As you continue to publish your blog, you can expect to encounter disappointments and setbacks. 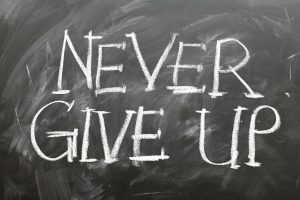 However, I’ll give you two good reasons blogging can encourage you to rise and pick yourself up again when you fail. One, because your blog is your livelihood. Especially if you’ve committed yourself to being a pro blogger. You’ll want to continue because that’s how you earn. Second, your blog is your way of adding value to your readers’ lives. As long as you continue to publish content, there will always be something you can offer to your readers. It’s this value that will keep them coming back. They’ll come back because of what you can offer to them. And when people give their trust to you like that, you’ll find that letting them down is not an option. That’s why you’ll want to get up and try again no matter how many times you fail. Thriving bloggers inspire you to do better with monetizing your blog. In the same way, by successfully earning as a blogger, you’ll also inevitably inspire your readers. Some of your audience may be aspiring bloggers themselves. Maybe they were just apprehensive to actually try and turn their blogs into money because of the relatively low rate of immediate success. By showing them that blogging can indeed be a financially rewarding venture, you can show them that profit and progress may not be as far away from their reach as they believe. If you can do it, there’s no reason why they can’t. Aside from monetary gains, nothing beats the satisfaction that inspiring people brings. Each of these is by no means easy to do, but they’re all definitely doable. If you feel that writing is your passion and that blogging is your calling, let nothing stop you. For every reason to say no to earning from your own content, you’ll find one or two good reasons to say yes to monetizing your blog. You’ll never run out of places to find tips to start a blog and make money online. And we’ve also given you ample reasons why you’ll want to. Now it’s up to you to make it happen. Great infographic. I’ve been mainly blogging as an entrepreneur for my business. Now, I’ve been monetizing as well. There are definitely many blended approaches on this one. Hi Lucia! Thank you so much for the appreciation and I apologized for getting back to you this late. Good luck on your monetization ventures! Nice. And yeah, I agree with those points. I mostly blog about personal finance and self help and then translate them to Tagalog because a lot of my countrymen can’t understand English. That majority live in poverty so I believe those money articles I write about can help them. Hi Ray! I myself have worked with and are still working with a lot of Filipinos. I have to disagree with your belief that a lot of your countrymen can’t understand English. They’re actually pretty good at using English as a means of communication. Aside from that, I commend your goal of helping your kababayans. Kudos! Do you know some monetizing schemes someone can apply? Hi John! Not exactly schemes, but you can use the keypoints raised in this article for starters. It’s true; you can start monetizing your blog immediately!! Why not try and see where it can get you short term and long term. Hi Patrick! My thoughts exactly! I couldn’t agree more! Excellent points. You are so right that when you start to see money from blog posts, it really does motivate you to do more and to do in a quality way to drive more traffic and increase your efficiency. I hope that one day, I will have a much larger part of my income be passive income from my blog. Good old passive income, love it! Rich, have you ever gotten into ebook publishing? They can generate passive income incredibly quick, depending on the topic. Hi Rich! Thank you so much for the vote of confidence. 🙂 Just like a lot of people here have said, blogging and monetizing is a journey and a learning process. I have the same hopes as you for myself too! Good luck on both our journeys! Although I love reason #2 the most, we have to be careful with the way we spend our time. Many people fall victim to not having a set schedule or aren’t disciplined enough. They spend the day doing minor work here and there, constantly catching up, looking for new blogging methods, and so on. This can create a lot more stress and work than a traditional job. Whatever you do with blogging, have a clear goal/technique and a solid schedule. Otherwise you’ll be your own worst enemy. Hi Elvis! I agree. That’s really the usual trap that bloggers fall into. That’s why, like you said, having a clear goal and solid schedule is the best way to get one’s act together as a blogger. 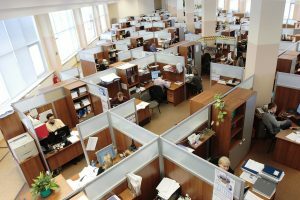 If not, they’ll be surprised to find that there are actually a lot more distractions at home compared to the office, and these can prevent them from getting the job done. Yes, that’s the idea! Hat’s off to you, my friend. Hey Kevin, I did not know about monetising my blog until last month and truthfully that is my motivation as I would like to earn a passive income from blogging. #4 helped me to start monetising as I was learning from other bloggers how to do it. It’s definitely a learning process everyday. Hi Dawn! Thanks for your comment. I’m glad that you finally found the right path to monetizing your blog. Good luck! Kevin, this was very informative. I loved the infographic and how you listed the main points of monetizing your blog. I always thought about monetizing mine, but you have written your post in a way that makes it orderly and effortless. You take into consideration some great reasons to do so. Hi Lino! I took the liberty of checking your blog, and it’s packed with awesome insights and you write pretty well. I wish you all the luck on your journey to finding the best monetizing method that’s perfect for you. Thanks for this post. Great points and something I really need to think about. This whole blogging thing is a learning process but I’ll glad to have help learning. Hi Dennis! I’m glad to know that my article has helped you get some good ideas. That’s really my purpose in writing. Thank you so much for dropping by. I love monetizing a blog, you’re right if you’re providing valuable content that helps people there’s no reason why you shouldn’t take the time to monetize it. It does take time to see results from your hard work. However, with consistency and hard work, it will eventually pay off. I think blogging is one of the best ways to set up passive income streams. Once you get into product creation, you have the opportunity to increase your income without being the middleman like affiliate marketing. Hi Susan! Thank you so much for your comment. Consistency and hard work really are the best keys to getting where one wants to go. Thank you so much for your insights. Great infographic & post. Blogging is the best career option if you have passion of writing. It gives us freedom of choosing own working hours, new experiences and relations. But it will take time to earn from the blog. Your success depends on the niche, contents and strategies you adopt. Actually, I just started blogging. Monetizing is far far away for me. I know that but until I read this article I thought this money making thing is a crap and it annoys my readers. You showed some great points, man. I will definitely consider about monetization in the future and I will work for that. For me to start monetizing a blog, we should first start building our viewers and followers, then after that we can start thinking monetizing a blog. Blogging is the best career option if you have passion of writing. It gives us freedom of choosing own working hours, new experiences and relations. But it will take time to earn from the blog. Your success depends on the niche, contents and strategies you adopt.